To Lure or Not To Lure? 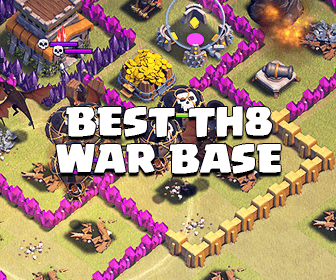 In any Clan War attack, luring Clan troops is one of the most considered steps at all Town Hall levels. If you can’t decide this before hitting the Attack button, it always can ruin your attack. Thanks Ry_Guy for sharing this! The first decision is whether or not to lure the CC. Luring the CC has slipped in and out of favor so many times lately – with the advent and subsequent adjustment to the Poison Spell and the increase in Clan War attack time limit – it’s hard to even keep track at this point. Basically, if the CC is very easily triggerable with support troops, luring is fine. If you decide to lure, though, and you have a Poison Spell (you probably should), use it efficiently!! For example, particularly in the case of a Clan Castle Dragon, don’t simply drop the poison spell and wait for it to slowly trickle down HP – that wastes time, and you are still left with a half-alive Dragon to deal with. Remember that the new Poison Spell significantly slows the attack speed of poisoned troops, so engaging a dragon while it is poisoned takes it down much faster and with little threat to troops killing it. If you are successfully able to lure and dispatch the CC with minimal investment, congratulations, you just took a lot of the pressure off your Kill Squad as they enter the base and maybe even freed up a spell slot to better support your army composition. On the other hand, if you decide NOT to lure the CC, you will be taking it out with your Kill Squad as it enters the base. This is often the preferred method as it sort of combines two of the goals of the Kill Squad – killing the defensive troops and developing the wedge – into a singular “surge” maneuver. First, knowing when and where the CC troops are going to pour out onto your kill squad is important, so you can plan for and be ready for it. Don’t let it catch you by surprise. One common mistake is sending a Golem into the range (even just barely) of the Clan Castle and triggering it, so it pours out onto that Golem before the funnel is sufficiently created. This often causes panic for the attacker as he sees his Golem melting away, which forces would-be funneling troops to be dropped in support of the Golem, which ultimately ruins the funnel and probably the raid. Notice the domino effect of a seemingly insignificant and innocent oversight? Always, always, always check and double-check the ranges of all defenses in the vicinity of your entry point AND the range of the CC before you execute your attack. Now, again, remember that your Kill Squad and the remaining army work in tandem. 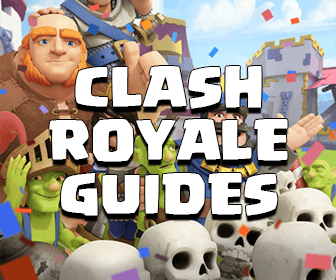 If you plan to have your Kill Squad penetrate deeper into the base, you may choose to bring a rage spell for the kill squad instead of a Healing Spell for the Hogs or Haste Spells for your Balloons and Lava Hounds. If so, while the Kill Squad is engaging the (almost ALWAYS poisoned) CC is a perfect time to drop that Rage Spell. It will allow the Kill Squad to almost instantly kill the CC troops and surge them forward into the base.